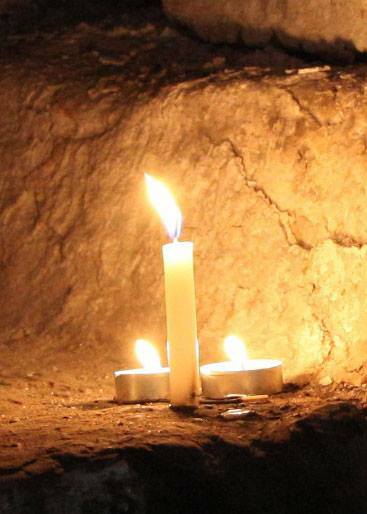 This Sunday, 15 September, is our beautiful, enriching monthly interfaith service in Sydney. I’d love to see you there if you are in or near Sydney. The services begin promptly at 3pm with gorgeous music, uplifting teachings and time for tea and coffee afterwards. Details below (and don’t hesitate to forward them to friends). Peace is the theme of this month’s service – peace in our personal lives, peace in our world. 21 September is International Day of Peace…so please do join us if you possibly can. 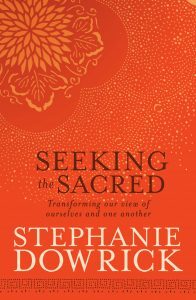 All the other qualities flow when we have at least relative peace in our minds and hearts – and when we can freely offer this peace to others. On the website of the UNIVERSAL HEART BOOK CLUB that I co-host with Walter Mason you will find an article about books that will be part of my Kyoto teaching. This will be of interest if you are a keen reader. Like my own book on the experience of reading and thinking about visionary poet Rainer Maria Rilke (In the Company of Rilke), the books I am recommending give wonderful insights into the mysterious processes of taking the world in through words…and adding this to our own infinite layers of experience and impressions. What a gift it is to be a reader. It’s been one of the greatest pleasures of my life;. In fact, I cannot imagine life without a toppling pile of books beside my bed, in the kitchen, the sitting room…my office. I am such a greedy reader I am almost always reading more than one book at a time. But enough confessions! For those who might want to listen as well as read, a reminder of the talks on YouTube – the topics are clearly marked and most were given at the services in Sydney, with a couple of retreat talks also. And of course increasing numbers of you are finding your way to the daily inspirations I post on Facebook – whether or not you are FB users, you can check this page regularly. Not least, I have a new book out late this month! 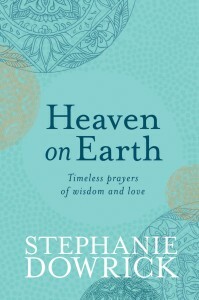 I will mail you separately about it once it is the bookstores later in the month – but if in the meantime you are keen to order and support it, know that it is called HEAVEN ON EARTH – and that it shares many prayers, among them some of the most powerful ever written, with loving guidance also on how to pray. 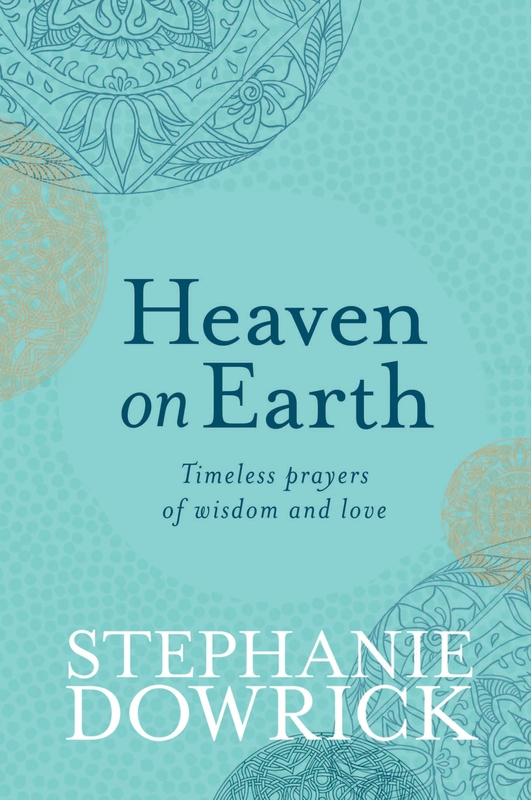 I have loved writing this special book, thinking about it and praying from it, and am hopeful it will be a true friend in many lives. Please take a quiet moment to think who might benefit from your sharing of any part of this email. You will also find below a prayer, from my new book, that deeply supports the practice of gratitude. You can use it as a reading, as a prayer, or as a guided meditation, stopping at the end of each line for as long as you want or need. I don’t have an on-line bookseller arrangement currently so you can’t easily buy the guided meditation CDs other than at services or retreats, so I very much hope that this prayer will bring you stillness and fullness within. I wish you joy and lasting peace in the month ahead. These services may meet your needs for a time of peace and renewal. We offer readings and reflections that are inclusive and inspiring, with shared prayers, brief meditations, a short inspirational talk and always beautiful music. Interfaith services. 3rd Sundays, 3pm. Pitt Street Uniting Church, 264 Pitt Street, Sydney 2000. Nearest cross Street is Park. Some street parking available. Excellent public transport (nr Town Hall). We do ask you to arrive a little before 3pm if possible as we must start promptly. The service is about 75 minutes. You can also join the community singing at 1-15-2.15pm (before the service). A lovely treat. Does any prayer mean more than Thank you? For this gift of life, Thank you. For health and understanding, Thank you. For patience, tolerance and forgiveness, Thank you. For family, friends, and the kindness of strangers, Thank you. and all the ways in which I am different, Thank you. and what I learn rising up again, Thank you. For the air I breathe, the water I drink, Thank you. For the feet that carry me, Thank you. for the eyes with which I see, Thank you. For arms that can reach out and hands that can touch, Thank you. For knowing right from wrong, Thank you. For living lovingly, Thank you. For chances to be playful, fresh, creative, Thank you. For chances to feel wonder, awe, delight, Thank you. For chances to face sorrow and to comfort sorrow in others’ lives, Thank you. For these words to pray, Thank you. For all that prayer brings to me, Thank you. and is where I am, Thank you.